1) You can purchase it online in the normal way at the special offer price of £10 (rrp £19.99) plus £2.60 p&p by clicking here . 2) Alternatively, you can pay what you would like to pay for it (min £3 plus £2.60 p&p)! Nigel Pimlott’s book not only equips and inspires youth workers to make a difference in the world, but it also challenges us to live differently. Buying the book in this alternative ‘kingdom’ way reflects the spirit of this challenge. If you work with or support young people, live in the UK and are short of money at this time, then make us an offer to buy a copy of Embracing the Passion at a price you can afford – don’t be shy. Simply email us alongside@fyt.org.uk your details and your offer and we will process your request. Equally, we are hoping some people will be willing to pay more than the £10 offer price. Nigel decided not to take any money for writing Embracing the Passion and has requested any profits we make out of selling it be reinvested in the work Frontier Youth Trust does. 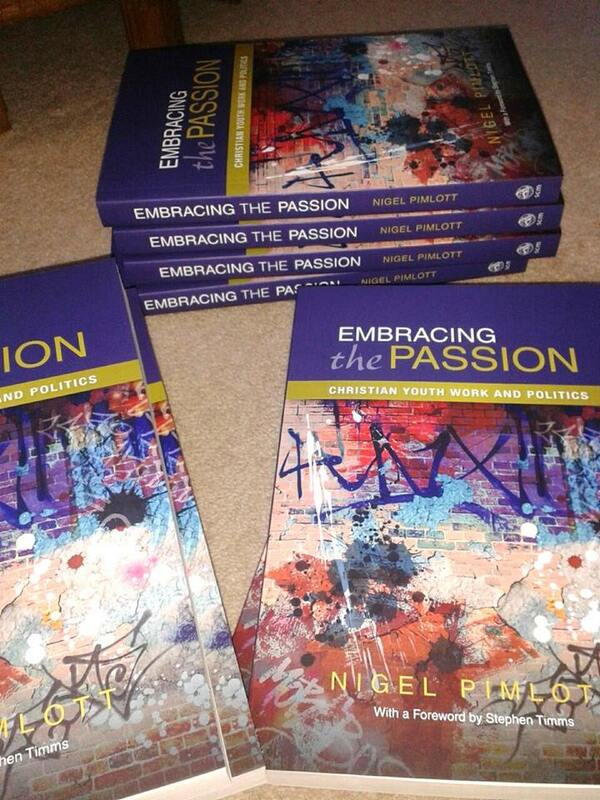 So, buy Embracing the Passion at a premium price and help support us. Simply email us alongside@fyt.org.uk your details, amount you wish to pay and we will process your request. Nigel is one of our keynote speakers at IDYW’s sixth national conference in Leeds on Friday, March 13 – Engaging with Difference, Finding Common Ground : Faith and Secular Youth Work. Previous To be young and poor is a criminal act.